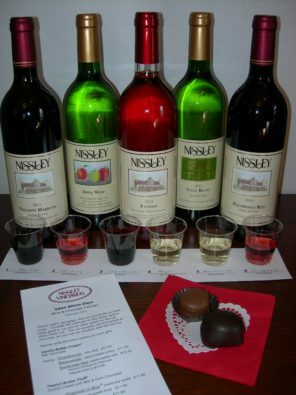 Join us for a seasonal wine and chocolate experience at Nissley Vineyards. 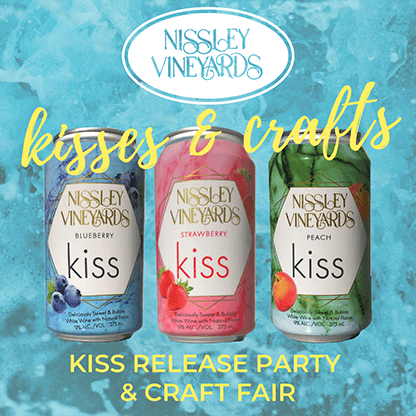 Visit the winery Saturday and Sunday, February 10 & 11 and 17 & 18, as one of eleven participating wineries in the Hershey Harrisburg Wine Country. Enjoy our award-winning wines paired with chocolates made by Evans Candy in Lancaster.